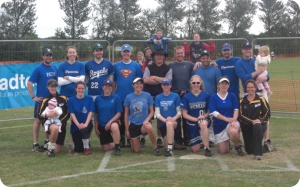 Softball Leinster was created for the purpose of managing the Leinster Softball League and for the promotion and development of the sport in the province. We all want to play softball. That’s what keeps us going out each and every week, the crack off the bat and the satisfaction of your throw landing in the glove and not bouncing into a hedge. A structure is still needed to coordinate the year of play and ensure a level playing ground for all involved. Softball Leinster will be there to make sure that happens throughout the softball year. We respect the competitive side of our sport and encourage players to test their skills at high levels of the game, to further their enjoyment and improve their skillset. We also recognise that those who play softball recreationally are an integral part of our sport. This is where the bulk of our membership is and this is also where the recruiting of new players should be strong. With a fun, sporting ethos as a cornerstone of our setup we should be able to attract new players to our sport and increase the numbers playing. We hope to use the business league, corporate nights and the training evenings for new players, as an important part of developing our league and the sport in our province. We need to keep our softball community strong while developing it. This starts with each one of us in our teams and then spreads into our games, remembering the satisfaction we all get from leaving the day job behind and heading out to play some softball. With everyone in Leinster helping to better the sporting environment for all, we are enthusiastic about the future of Softball in Leinster. We would welcome any feedback or suggestions of how you, our members, believe that the game of Softball can flourish in the Leinster Region.